LOS ANGELES — The head of the State Water Resources Control Board (SWRCB), California’s main water governing body, has unilaterally suspended a plan for the Sacramento River that had won the rare approval of both farmers and environmentalists–and advocates for the drought-parched Central Valley are furious. This reversal in the plan places much more in jeopardy than just temperature and fish survival. Abandoning the previously agreed upon summer water management plan handcuffs water and community leaders statewide; it limits their ability to provide essential services for their communities already making sacrifices through this drought crisis. Stopping releases from Lake Shasta means less water will flow into the Sacramento-San Joaquin Delta, potentially denying water to 70 percent of Southern California’s urban population and sacrificing water quality for the Delta and parts of the Bay Area. On May 16, the SWRCB approved the Sacramento River Temperature Control Plan. Amid the worst drought in state history, the Board worked with scientists, marine biologists, water districts, stakeholders, and operators to approve the measure to ensure the temperature of the Sacramento River remains at 56 degrees Fahrenheit to protect an endangered species of Chinook salmon. The plan, first submitted by the U.S. Bureau of Reclamation, appeared to be a rare win-win scenario for both California’s agriculture interests and environmental groups. A consistent temperature would mean the continued protection of both the Chinook salmon and the overall ecology of the Sacramento River. Meanwhile, steady water releases from the Keswick Reservoir would ensure Central Valley farmers enough water, and a platform on which to base their conservation efforts, to help them navigate through the dry summer months. While agriculture and environment had shared an uneasy alliance just a few weeks before, the two sides reacted in entirely opposite ways to the suspension of the plan. 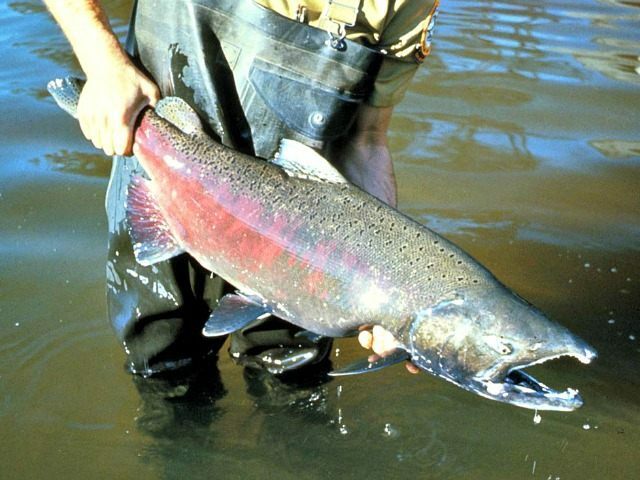 “I applaud the State Water Resources Control Board for recognizing the need for immediate action in regard to protecting endangered salmon at this critical juncture,” San Francisco Supervisor Scott Wiener told Bay Area blog Claycord. “We cannot afford a second year of catastrophic losses to this valuable resource,” added Barbara Salzman, board of directors president at Friends of the San Francisco Estuary. But farmers say the suspension of the plan jeopardizes the Central Valley’s already-strained water supply and throws a wrench into agricultural water conservation action. This is not the first time that the Water Board’s director has acted unilaterally to significantly affect California water policy. In February, Howard denied a portion of a Temporary Urgency Change Petition (TUCP) that would have increased Delta water pumping for two months. The measure, much like the Sacramento River temperature plan, had the support of both agricultural interests and wildlife agencies, including the U.S. Fish and Wildlife Service and the Bureau of Reclamation, which said the increased pumping would not have an adverse ecological effect on the river. Still, the Board, an unelected panel appointed directly by Gov. Jerry Brown, upheld Howard’s denial and blocked the pumping. Now, as in February, the Board has only a handful of options to remedy the plan. The Board could re-approve it, and in so doing ensure that Central Valley farmers and water districts receive the water they desperately need. The Board could also bury the plan, which could have a doubly disastrous effect on the Valley’s water supply by requiring even greater outflows to meet salinity level requirements in the Delta. “No decision has been made yet [on the temperature plan]” Howard told Breitbart News in an email Tuesday afternoon. Whatever the Board decides, the water community will not be part of the debate. Cannon Michael, president of the Bowles Farming Company in Los Banos, said that the meeting to decide the plan’s fate has been characterized as an “Endangered Species Act consultation,” meaning only representatives from the Water Board and the Bureau of Reclamation can be present during the deliberations. Michael and other water stakeholders, including farmers, water district representatives and at least one mayor, held a closed-door meeting with representatives from the governor’s office and Water Board earlier this month to offer their input. The Board is expected to announce a decision on Wednesday.